SnapCacklePop: Destiny's Child unexpectedly announce new album and single..! Destiny's Child unexpectedly announce new album and single..! Well this was a surprise for everyone at SCP HQ, when Destiny’s Child announced a new album and were to release a new single. Named Nuclear, it’s the first song from the group since 2005 and is due to feature on a 14 track album which is a compilation of the trio’s romantic songs between 1997 to 2004, including this new track. 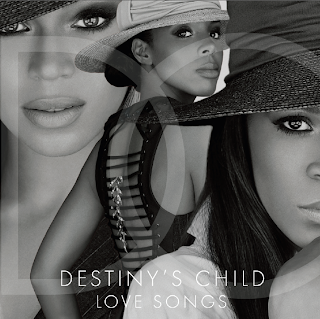 Produced by Pharrell Williams, the track is the first recording from the trio in over eight year, however do not get too excited just yet pop fans, whilst its great to see the girls return as Destiny’s Child, the track itself doesn’t hit the mark, it’s a bit bland to be honest and is more of an album track, than a classic Destiny's Child release. However happy to hear your thoughts..!